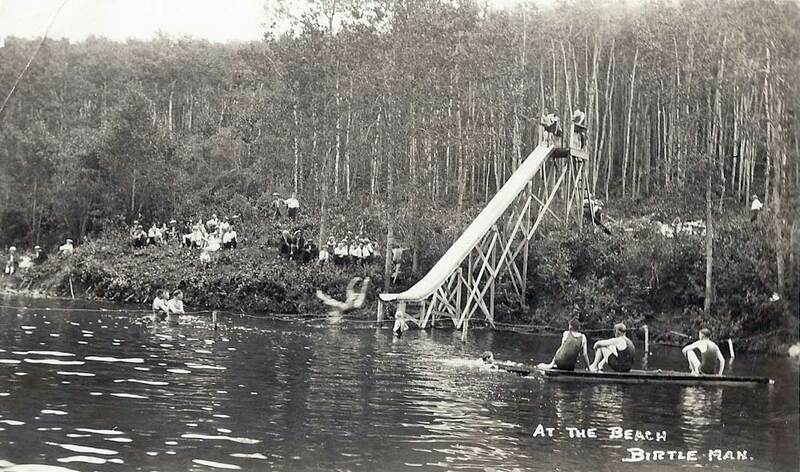 Before 1930, most of Birtle's kids did their swimming on a curve of the river near where the Birtle Health Centre stands today. 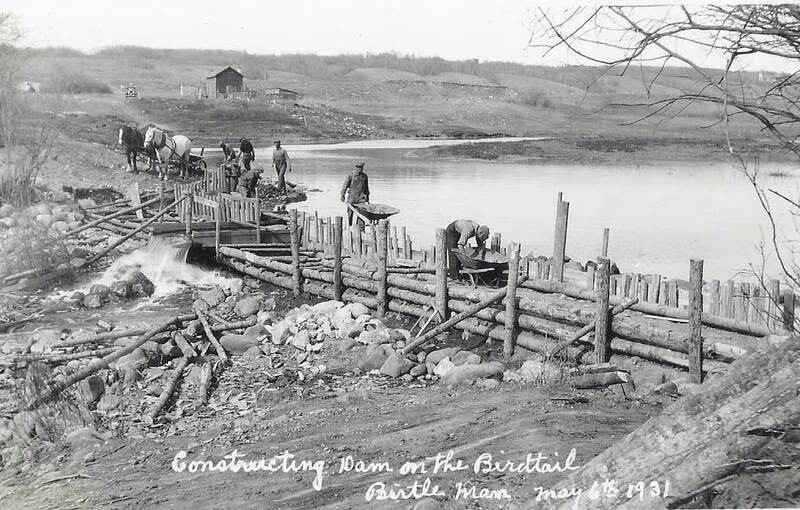 Although there had been a couple of wooden dams built on the Birdtail in the early years, they were quite small. 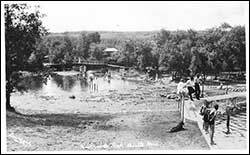 In 1931, a major new dam was built, and a lake formed behind it. 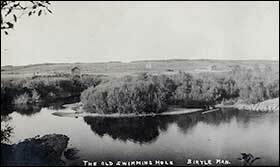 The area around the dam became known as Birtle Riverside Park. 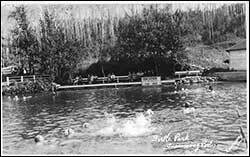 Organized swimming followed the progress of the park. 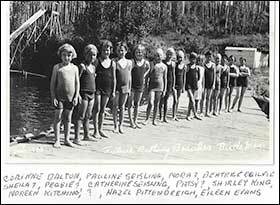 Sometime in the 1930s, the Birtle Swim Club became associated with the Manitoba Amateur Swimming Association and the Canadian Amateur Swimming Association, and these organizations became an official part of the annual water galas. 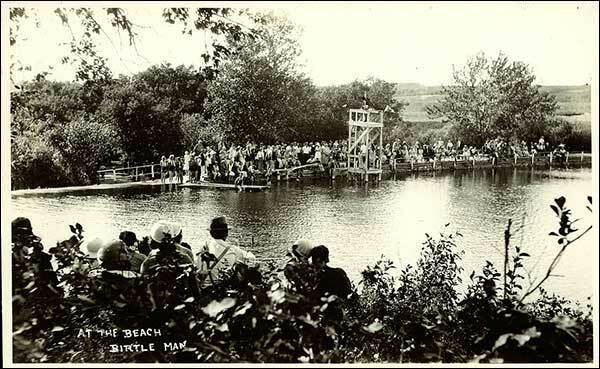 With the event of our town having constructed the Dam and making such an improvement on the river by raising the water level, there has been a number of the citizens of Birtle and nearby towns interested in forming a swimming club. On some occasions, the Winnipeg Free Press came to cover the events, especially if they involved provincial championships. 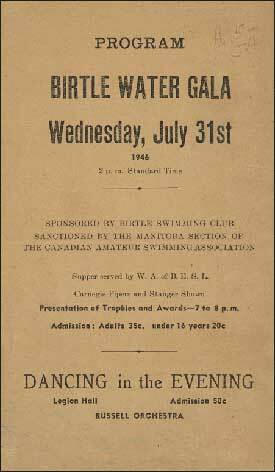 There was a club trophy for best swimmer, and another for diving presented on behalf of the Wrigley Jr. Company of Winnipeg. 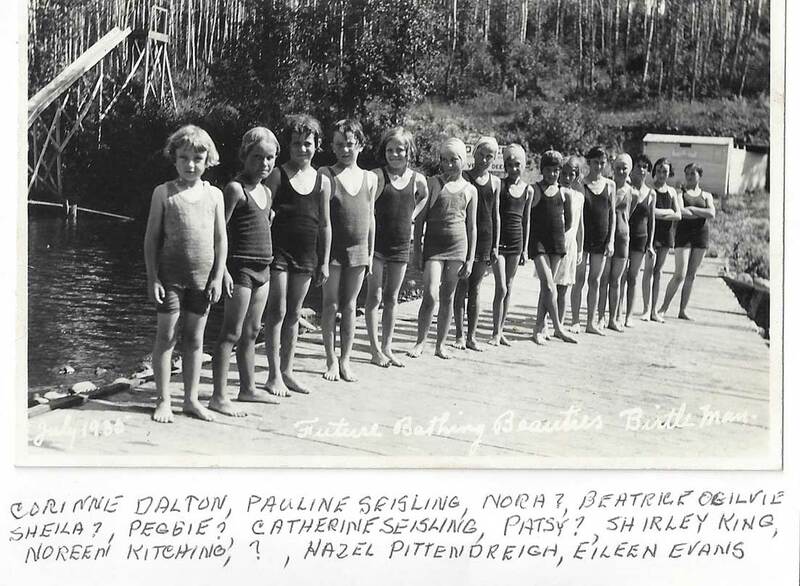 Over the years, a number of instructors came from Winnipeg to teach the art of swimming. The galas were normally held on Wednesdays, when community businesses were closed. A local ladies group always had lunch available for the large crowds. 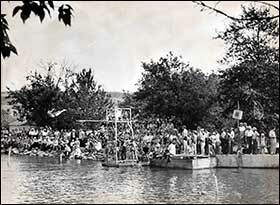 At the end of the day there was usually a band concert in the park, followed by a dance in the Legion Hall. 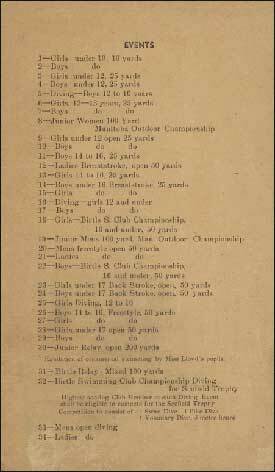 During World War II, the Girls' Patriotic Club used the event to raise funds to send overseas parcels to the troops. Over the years, parent volunteers helped keep the swim program afloat. 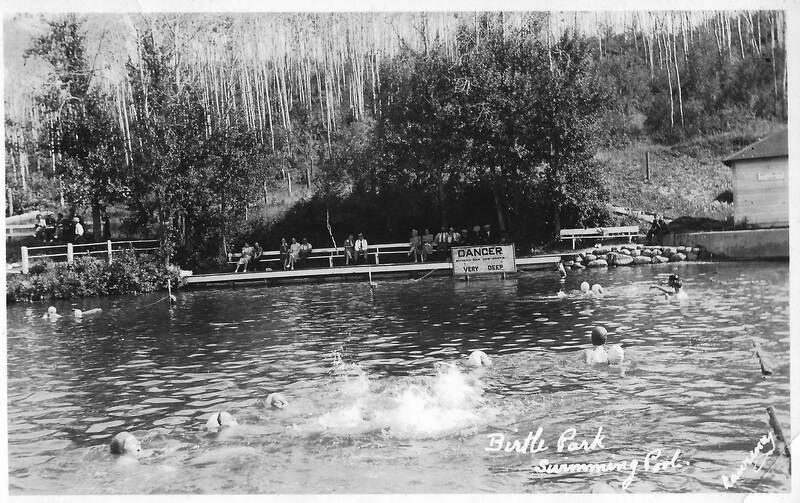 In the 1970s, a pool was built in the park. 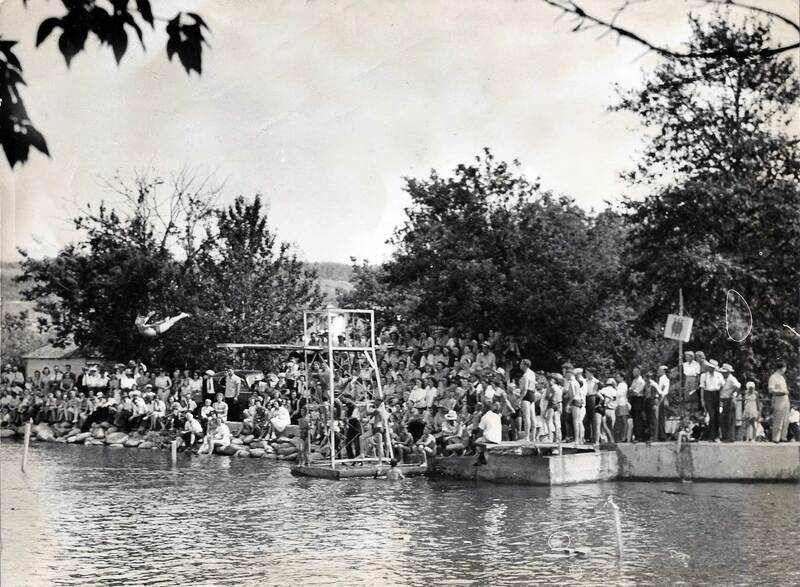 Although there are no longer swimming and diving competitions in Birtle, many provincial champions have come from our community. 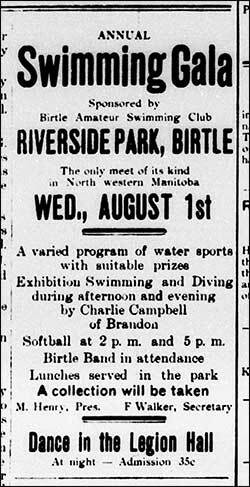 The town's recreational programs, including swimming, got full-page coverage in the Winnipeg Tribune for July 16, 1955. 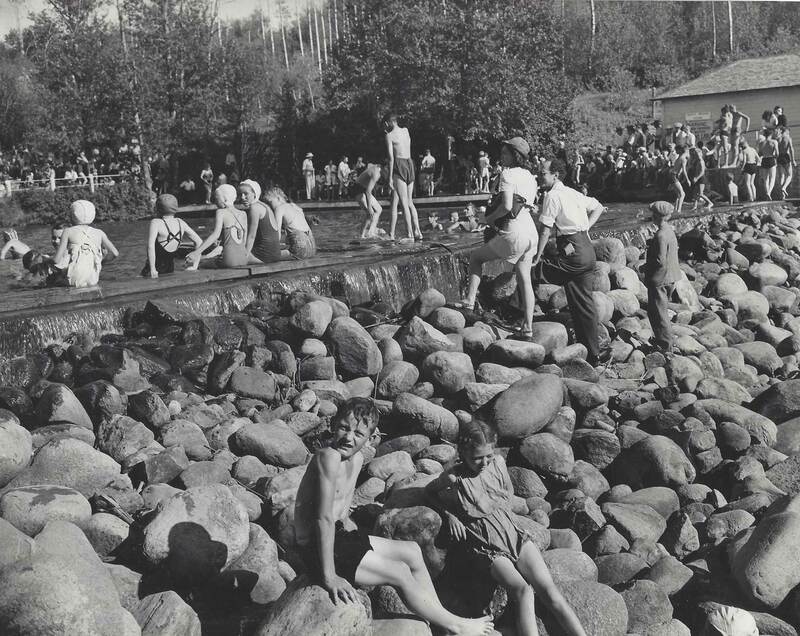 The beach, sometime after 1948. 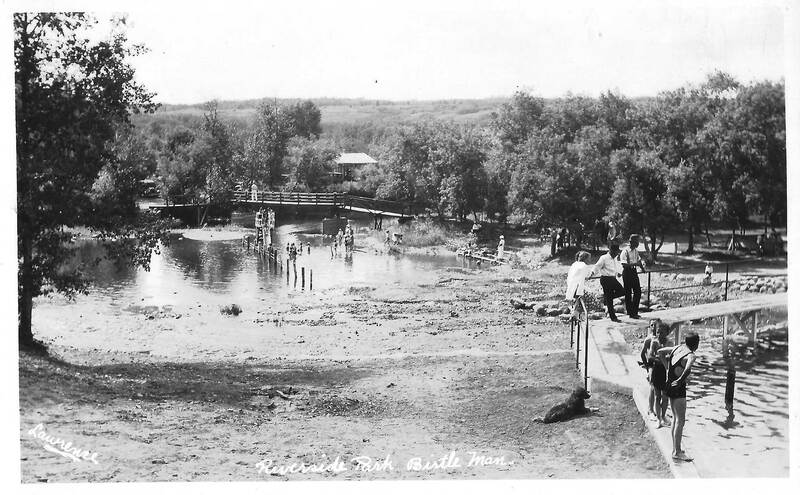 Image courtesy of the Bruce Peel Special Collections Library at the University of Alberta. 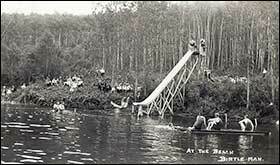 Postcards of the park and swimming, produced by Arthur Lawrence, a well-known photographer from Birtle. To see larger views, click on the image. A 1946 program for the water gala. Larger images may be seen at the Bruce Peel Special Collections Library at the University of Alberta. 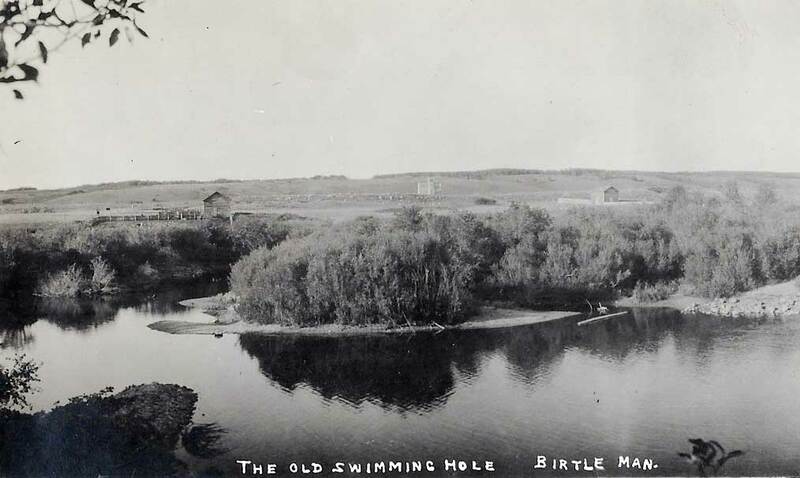 For more on the swimming history of Birtle, visit the Manitobia.ca website, and our local history, Passing It On. 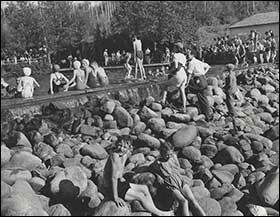 More of Lawrence's images from the swimming hole. To see a larger image, click on the photo.